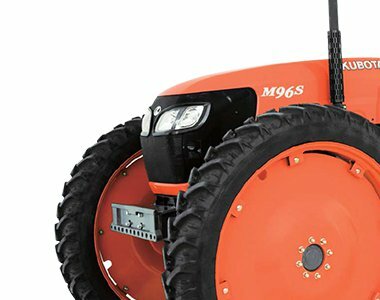 Engineered with high clearance and more speeds to enhance performance, the Kubota M96SHDM is ideal for harvesting applications. 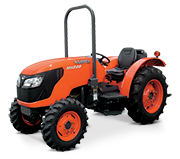 Powered by a Kubota 95HP, 4-cylinder, turbo charged diesel engine. Features new LCD instrument panel for quick view of vital function and slanted, full-open hood for quick and easy routine maintenance. Put the M96SHDM into gear and you’ll immediately feel the power of this 95 net horsepower engine. You’ll notice it in all applications, especially when pulling heavy loads. Featuring rear drop axle and same sized large diameter tyres, the front axle clearance is 775 mm, giving you ample clearance to help lessen potential crop damage. 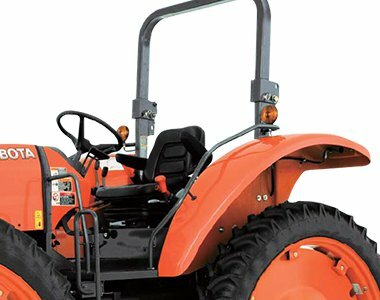 Mounted to the left of the steering column, the shuttle lever’s fingertip control makes it possible to shift smoothly from forward to reverse without using the clutch or stopping the tractor. 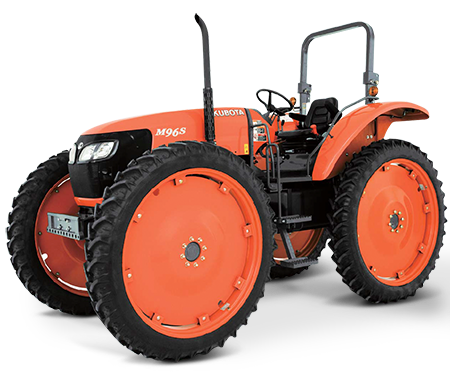 Kubota’s multiple wet-disc main clutch operates smoothly and reliably, offering greater durability. The Category II 3-point hitch accepts a variety of rearmounted implements. The hitch’s telescopic stabilizers and lower link ends simplify hook-up and adjustments. The hitch has a capacity of 2100 kg. Optional dual assist cylinders raise the capacity to 3400 kg. 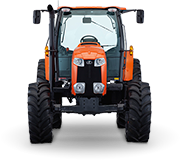 The new instrument panel makes viewing the vital functions of the tractor clear and easy. The LCD readout displays travel speed, PTO revolutions and hour meter information digitally. The slant-nosed, full-open bonnet design makes maintenance easier.The one-piece bonnet’s dual-gas-shock assist makes it easy to lift. Alternator Amp 45 Amp, 80 Amp: Opt.